I'm late to the party on this one, but I couldn't pass it up! I'm joining into the Armchair BEA this year! To kick things off, here is my introduction post! Please tell us a little about yourself: Who are you? How long have you been blogging? Why did you get into blogging? Wow, what an opener! First off, my name is Melinda and I'm a stay-at-home Mommy and reader and writer; I'm a Christian (but the "happy" kind, not the "dark" kind--I believe in loving one another, not judging on another) and a non-affiliated voter with strong views that lean to the left. Thankfully for you all, I don't go into politics here! I've been blogging in one form or another for probably a decade. I started because I liked to write and I had things to say. In all those years, I've focused my blogging and this blog is now just a book blog. Because, when I'm not writing, I'm reading (or, you know, I'm doing Mom things...). I took that off Photo Pin, too. Thank goodness for random people who are willing to put their pictures in the public domain. Or, at least, they don't know that they are doing that. We average 144 days of sun a year. Which sounds like a lot until you realize that we average 221 days of clouds and/or rain. I'm terrified of Monkeys. Not necessarily chimpanzees, but the little rodent-looking ones. Marcel on Freinds gave me nightmares. I'm going to twist this around a bit and tell you my favorite literary location that I have visited, that would be Louisa May Alcott's house in Concord, Massachusetts. As a girl growing up reading Little Women, this was like coming home. And, if you are the Thoreau persuasion, Walden Pond is not far away. Um, my ever-growing TBR list? Well, yes, there IS that. There is also a community of people who are as crazy about books as I am. I have a few friends--my closest friends--who are of the same mind, but I don't see them as much as I'd like. The blogging community gives me a chance to discuss books when I can't get together with my friends. And there, my new friends, is my humble little intro! Great to "meet" you here, Melinda! 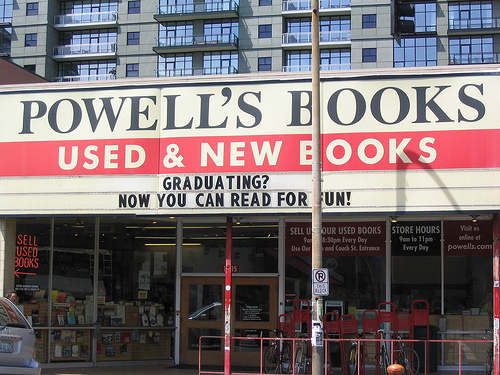 I live on the westside as well, and Powell's will forever be one of my favorite places in the world. Oh no, afraid of monkeys! They are one of my favorite animals. I actually shared the animals that give me the creeps on my intro post as well, lol. It sounds like when it comes to faith and politics, we probably have very similar views. 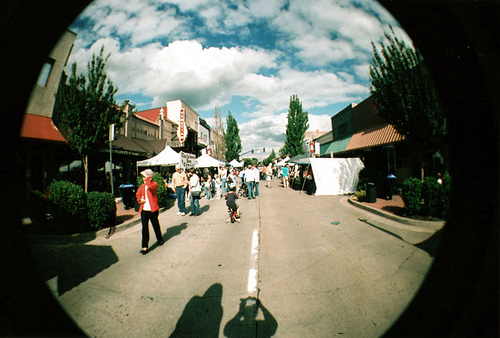 ;) I want to visit Oregon one day. 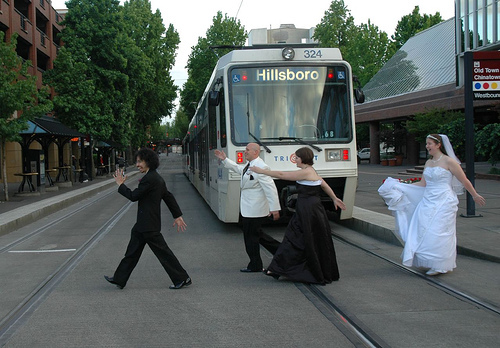 I had no idea the Oregon Symphony was the oldest in the west, very cool! I can totally relate to that ever growing TBR pile. Mine is about as high as Mt. Everest and I'm always afraid that it will topple over. Ever since I started blogging, I keep adding books to that list. I had my first Voodoo Doughnut last summer and it was delicious! 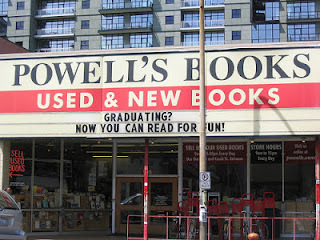 I've been to Portland twice, for only a day each time, and spent the bulk of each visit inside Powell's. Can't wait to see what they do with the upcoming renovation. Nice to meet you Melinda! I too am a bigger believer in loving one another than judging one another. I wish we all did more of that. Hope you enjoy Armchair BEA, I'm glad to have found your blog! Nice to meet you :) Those are really cool photos you found to share. Nice to meet you! I hope you have a fun week at ABEA! Glad you decided to jump into the Armchair BEA fray! Every summer, on the way to Canada where my family lives, my husband and I take one detour. This past year, we visited the Alcott home, because Alcott was one of my favorite authors as a child. We also explored Sleepy Hollow Cemetery, the burial grounds to a few other famous authors including Emerson, Hawthorne, and Thoreau. The view itself at Walden Pond is pretty enough, but we didn't care for the barbed wire fence along the trail.